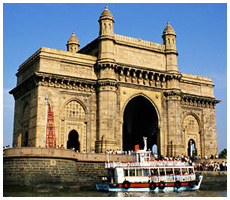 After breakfast explore Mumbai- a Business and the Entertainment (Bollywood) capital of India, visit Gateway of India- built in 1924, Elephanta Caves- world Heritage site declared by UNESCO in 1987, located at Elephanta Islands, Temple of Trimurti- also known as Triple headed “Lord Shiva”. Later visit Prince of Wales Museum, Taraporewala Aquarium, Parliament House, Marine Drive, Jain Temple and Hanging Garden. Return back to the hotel for overnight stay. After breakfast, transfer to airport to board the flight for Cochin (Kochi)- known as the Spice coast of India. On arrival transfer to hotel, after relexation visit Fort Cochin- built by King of Kochi in 1503, St. Francis Church- it is one of the oldest European church of India, built in 1503. In the evening enjoy Boat ride on the Backwaters Area & Palm Fringed Lakes, late evening enjoy the Kathakali Dance- the world famous Classical dances of India. Overnight at hotel. After breakfast visit Jewish Synagogue- it is one of the oldest Synagogues in India and it was built by Yehudan people in 1568, Mattancherry Palace- known as the “Dutch Palace”, built in 1555 by Portuguese & Veera Kerala Varma (Raja of Kochi). Later drive to Periyar- famous for Periyar National Park and Wildlife Sanctuary, on arrival transfer to hotel for overnight stay. After breakfast, visit Periyar National Park & Wildlife Sanctuary- known as reserve for Elephants and Tigers. In this sanctuary enjoy the Safari Cruise with the attractive view of Tigers, Elephants, Sambar Deer and more animals flocks around the Periyar lake. That is opportunity you can take pictures of animals in their natural habitat. Overnight at hotel. After breakfast, enjoy the Ayurvedic treatment and meet Vaidya- Ayurvedic doctor of India. He/ She give you consultation about your health and diet. In this period of time you can enjoy the various types of herbal massage. You can also enjoy the hot bath and Yoga meditation. We confirm that, after this treatment you feeling good and totally relaxed. Rest of the evening is free for leisure and your own activities. Overnight stay in hotel. After breakfast visit Spice Garden- to view different varieties of spice like Clove, Pepper, Vanilla, Tea, Ginger etc. Later back to hotel and after lunch drive to Cochin. On arrival transfer to airport to board the scheduled flight to hometown and tour concludes with happy memories.